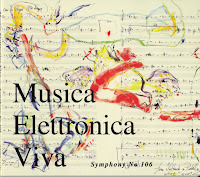 Musica Elettronica Viva has been around in one form or another since 1966 when it was first formed in Rome. Over the years various people have contributed to the group, but its core is the trio of Alvin Curran, Richard Teitelbaum, and Frederic Rzewski. Symphony No. 106 was recorded live at the 32nd International Festival of Current Music in Victoriaville, Canada on May 22, 2016. I’ve been putting off writing this review because I knew that I was going to see them live at the Big Ears Festival in Knoxville, Tennessee. I felt that seeing them live would help me come to terms with the wild trip that Symphony No. 106 is. In addition to seeing MEV, I also had the opportunity to watch all three of them play solo sets the day before. It was fascinating to see where they each are with their solo practices and to see it combine like some musical Voltron out to save the world from boring music. Symphony No. 106 is a fascinating journey lasting just over an hour. Rzewski plays piano and talks, Curran plays his sampler, laptop, and electronics with an almost manic intensity, and Teitelbaum seems content to add an intense but fairly quiet underpinning to the festivities. Rzewski’s tale of his grandfather’s abduction by Cossacks is timely in a world were so many people are displaced by war and other horrors, providing a counterpoint to his often sparsely beautiful piano playing. Curran’s samples are wild. 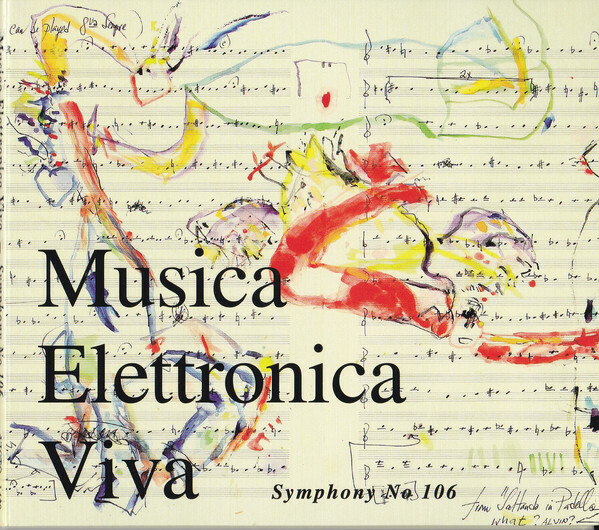 Near the end, his use of circus music and old Barnum & Bailey advertisements against Rzewski’s tale is frightening and gorgeous at the same time. It is almost impossible to use words to describe the utter intensity of this music. For the last fifty years MEV has been consistently interesting and Symphony No. 106 is no exception. If you like adventurous music, or want to be taken on an unusual journey, fire up your stereo and sit back. I imagine your tie will be flying back like in those old Maxell tape ads.